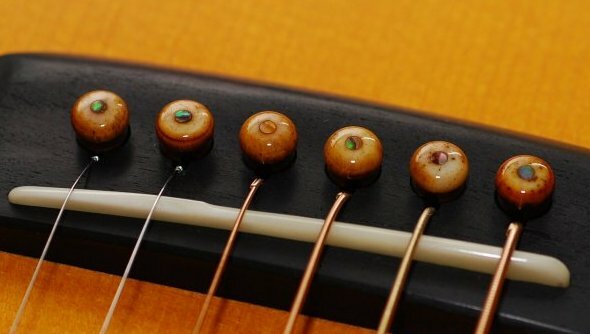 I always have a large number of pieces that have small defects that in no way affect the performance of the component. 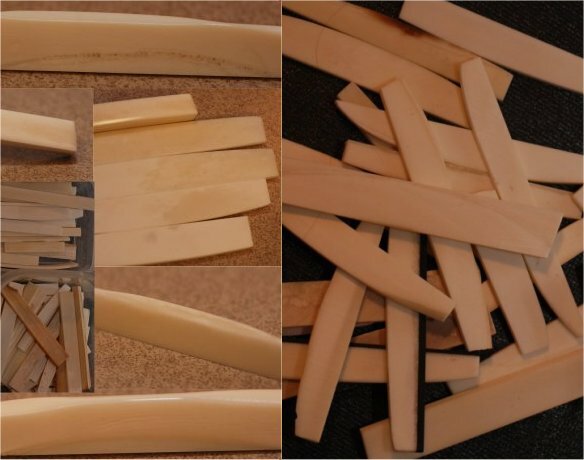 These defects include; incomplete bleaching of bone, small surface flaws, or parting lines, found in ivory at tusk layers... or something that simply isn't "pretty" enough to send out fully priced. If you don't mind a fully functional part that will have only visual flaws, here's a way to cut the cost of your particular project. All of the items are 30 to 50% off the regular price! I always keep this readily available in Taylor, Larrivee and Martin (drop-in) saddles and nuts. I can also make these for other manufacturers listed on my pricing/ordering page, including most oversized parts. I also keep a small selection of incompletely bleached bone pins. What pin sizes I have changes constantly, so call for what's available! Some of these items are quite unique and may be perfect for your application. These are mostly one-of products not listed in my normal inventory. * These are all one-of sets, email me for pics! 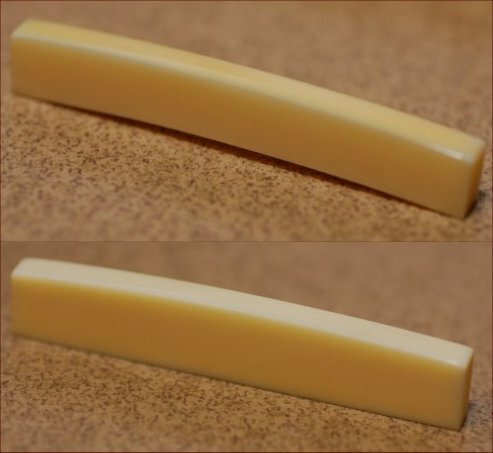 Fossilized Walrus Ivory nuts for Fender guitars - Strat & Tele (last of the FWI!) $30 ea.